Explainer animation for the company Eurokapu about their affiliate system based on their own built-in garage door customization software. Tamás Kőszegi is a multi award-winning film and animation director, VFX and motion designer. He received the "Yound Talent of the Nation" prize twice (2015, 2016), and also listed in the "50 Most Talented Young Hungarians" program. In the "2016 New Hungarian Directors Showcase", Saatchi and Saatchi chose him as one of the five best young directors of the country. It took three years to him to make "The Copyist", the world's first narrative film entirely made with a photocopier. "The Copyist" premiered at the 22nd Palm Springs International Shortfest, and was featured all across the globe. While working on freelance projects. 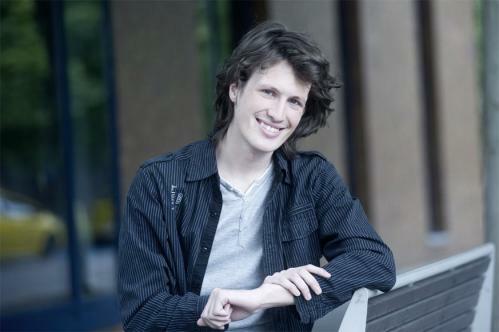 he is also the head of the animation group Mimicry Motions, concentrating on unconventional and experimental animation. He also teaches animation and perform speeches publicly. He spoke on the 2016 TEDx Danubia and also on the 2016 TEDx Youth. His primary goal is to create a visual world that has never been seen before. This is the english page of Tamás Kőszegi, Hungarian film and animation director. If you would like to know more, visit us at our Hungarian company homepage.